ia akan hilang di dalam masyarakat dan dari sejarah. Time does fly. My friends and I from Faculty of Law University of Indonesia (FHUI) year 1992 finally will celebrate our silver reunion. Instead of just having a party and stuff, we thought to have something more meaningful. We must leave a legacy. We realized this 25th years of togetherness must be commemorated in a special way since perhaps (if we have long lives), we might prepare the next anniversary within 25 years from now. The golden reunion. Wow, never thought that we're that old #AgeDenial. We decided to divide our celebration in 4 (four) programs, yep...we're that ambitious, lol. The first program was to build a disabled toilet including a health room that has already been launched on May 2017, and this project turned out to be the first facility provided at UI. The second project was a kind of having fun since we had a one-day trip to Cirebon. We took train back and forth. And this simple trip happened to be awesome. We had a great time, yay...!!!!! The next project was mine. I was assigned to write a book about 25 professions that people with legal background can choose. Up until now when people find out that you go to a law school, they will 'accuse' you that you want to be judge, a lawyer, or a notary while actually there are lots of careers that you can choose as a legal person. Our final program for FHUI Silver Reunion will be a homecoming project where we will have a gathering at FHUI campus. It's planned to be held in November. After 25 years leaving the law school, my collegemates and I now work in lots of different industries. All businesses are actually will need a lawyer to handle the legal matters in their companies, in banking, insurance, trading, capital markets, and many more. Therefore our purpose in making this book is to educate the highschoolers and also law students who are still confused about their future careers. As an editor, the hard part of this book was to ask and sometimes to 'force' some of my friends to write about their working experiences (since most of them are very busy) then I compiled them all into one book. I finally ended up with 36 contributors (all are my collegemates from FHUI 92) and 25 professions. I finished the work for almost a year and offered it to the publisher. 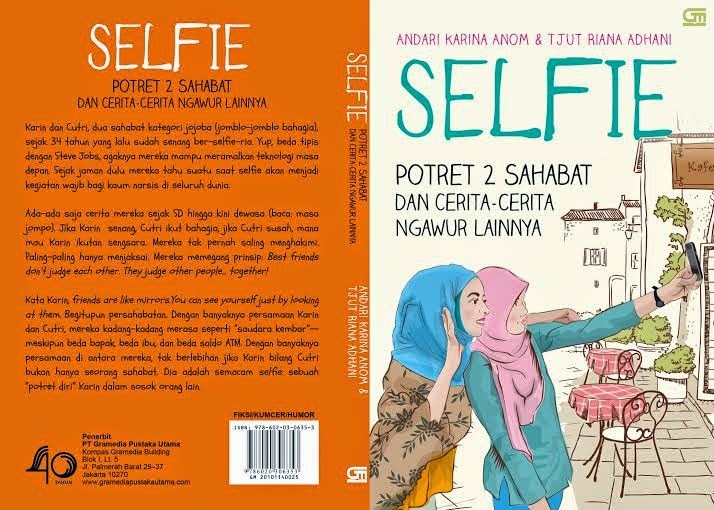 Thank God, Gramedia Pustaka Utama is willing to publish it. Such a blessing. Started today, Monday, 25 September 2017, this book of Profesi Hukum Itu Asyik! can be found at all Gramedia bookstores. And the book launching is scheduled to be held at FHUI Depok Campus on Friday, 27 October 2017 at 01.30 p.m. - 05.00 p.m. Everyone is invited, please do come. For the millenials generation, this book is dedicated for you, yes ...you, if you want to go to law school, just go ahead, no need to think much because there are MORE than 25 careers are waiting for you.